There are two option to login to your Neto integrated SmartrMail account. We'll cover each of these in this article. 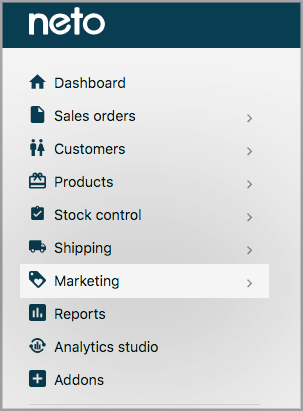 To login via Neto CPANEL, simply navigate to the Marketing menu section then to the Email marketing setup page. Once on the Email marketing setup page. Click the Launch button. You'll now be logged into your SmartrMail account. 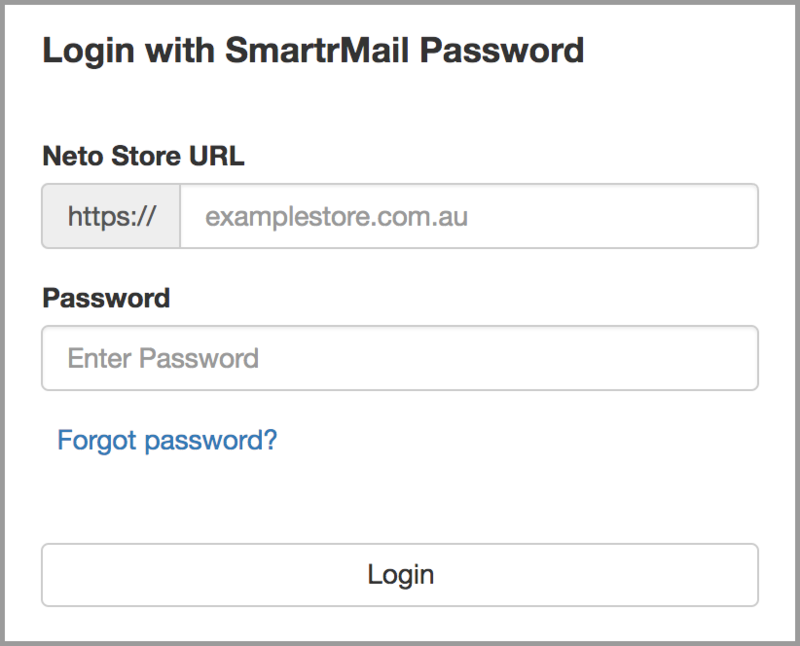 If you created a SmartrMail account before Neto's CPANEL login option was available you'll also have a password login for your SmartrMail account. The login will trigger a popup modal, where you can choose the SmartrMail Password login option. You'll be asked to enter your Neto URL and password. Enter the URL you use to login to your existing SmartrMail account, if you don't know what this is please reach out via the chat. *Please do not put in any https://, forward slashes after the domain or pages other than your top-level domain.